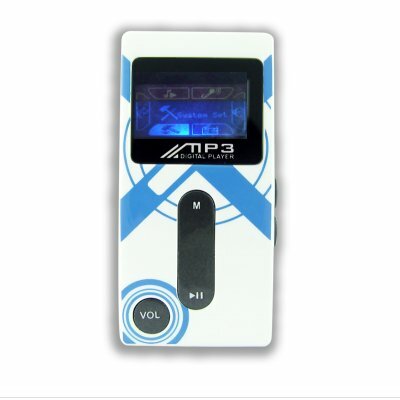 Successfully Added 1GB Mini MP3 Player - LCD Screen + Built-In Speaker to your Shopping Cart. 1GB Mini MP3 Player - LCD Screen + Built-In Speaker. Very Small and light plastic and metal body MP3 Player with 1GB of Flash memory, a two color backlit LCD display and a built in speaker. Also featured is a handy voice recording function in WAV format, a FM Radio, and 7 EQ modes. With intuitive controls and its LCD Screen for displaying information including ID3 Tags, this MP3 player gives you everything you need to be in control of your portable digital media experience, and does it at a low factory direct price! Get yours today! !